I'm tired of my life being a meme. I found this DIY tutorial for tangle-free headphones on Society19, so hopefully now I can put my headphones in my backpack without stressing about what they're going to look like when I take them back out. -Anything with a cord. 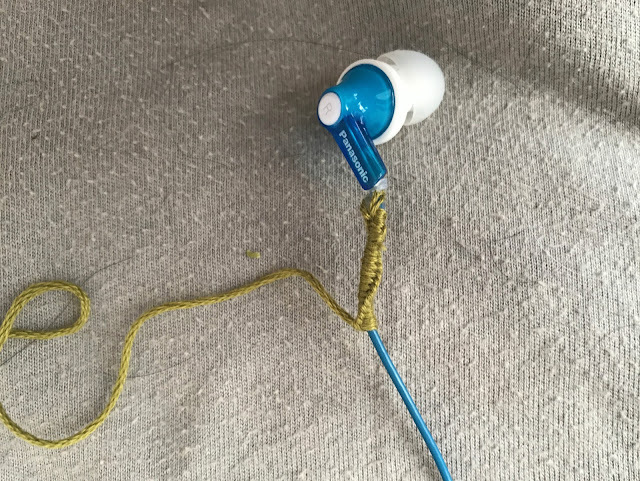 I'm using my headphones, and if it's a good DIY, I'm going to use it on my phone charger. Step 1: Tie a long piece of embroidery floss (about 3x the length of the cord you're covering) to the top of the cord. If you're familiar with the Chinese Staircase knot, that's what you need to do. If not, really all you're going to be doing is tying a knot with the embroidery floss around the cord. Easy peasy! 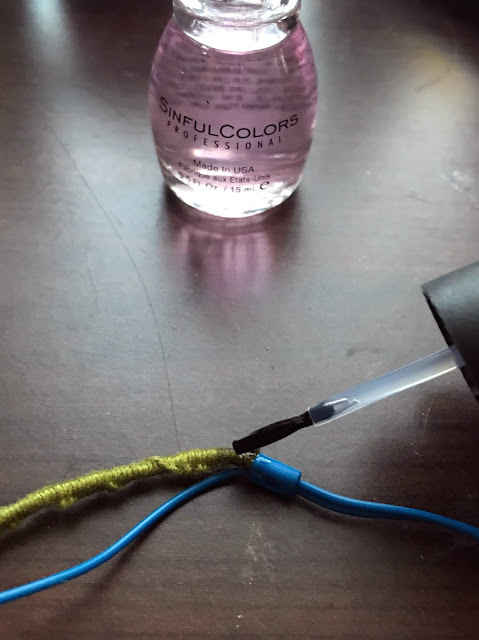 Step 2: When you've finished wrapping the cord, cut off any loose thread and apply some clear nail polish to both ends of the wrap. Step 3: Repeat as necessary. Voila! 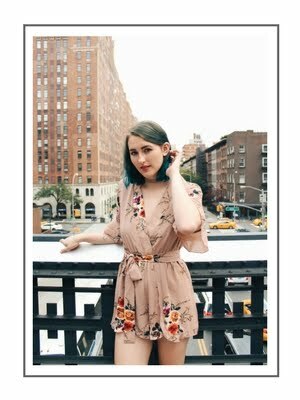 This was such an easy tutorial. It might have helped that I used this knot technique to make everything from bracelets to hair wraps when I was young. 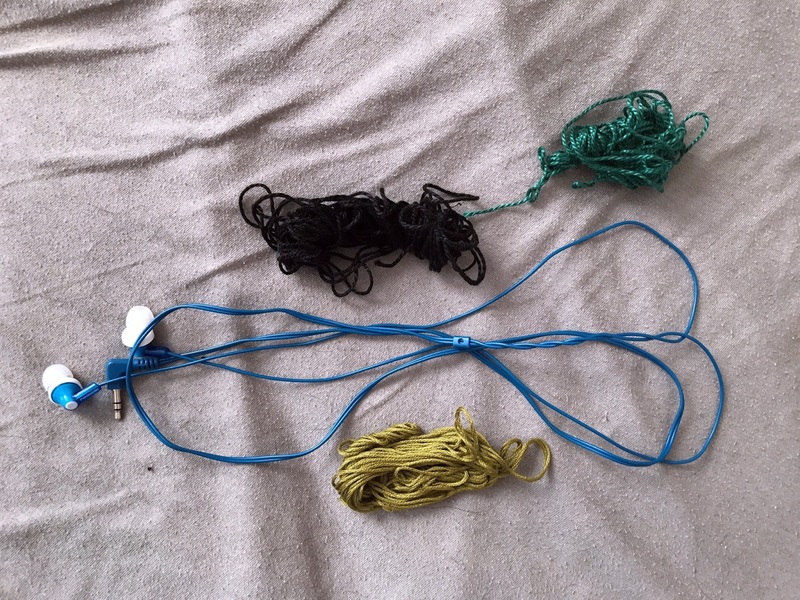 So far, my headphones have remained tangle free. They do twist around each other when I'm wearing them, but I guess that's far preferable to them growing into a knotted mess. One thing I realized when I finished this DIY is that the wrap might help keep the wires in the cord from fraying. I don't know what I do with my cords that leads to the wires popping out, but at this point I'm desperate to do anything to keep that from happening. It does look a little ridiculous up-close, but not so ridiculous that I won't wear them. 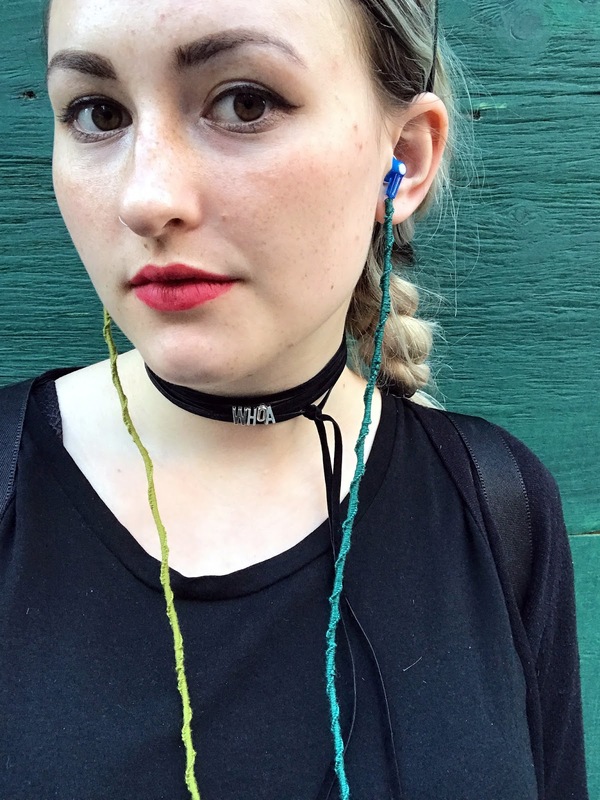 If you're into hair wraps and other crafty gear, you might actually love this look.